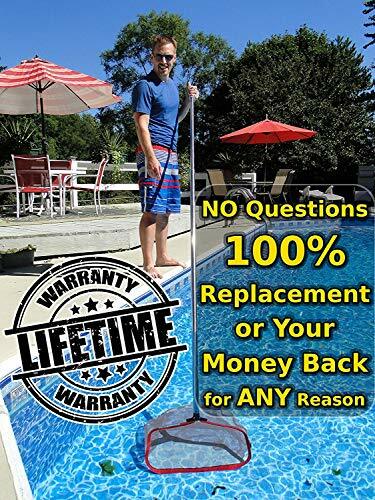 100% "NO QUESTIONS ASKED" LIFETIME GUARANTEE - If any portion of this heavy duty pool skimmer net ever breaks, fails or tears, simply contact us for FREE replacement parts or a complete replacement of the entire pool rake as per manufacturer's lifetime product warranty (Commercial users: Lifetime 50% Off Replacements). 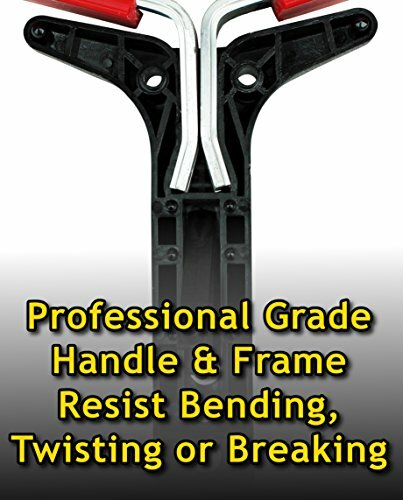 SUPER STRONG 18" ALUMINUM ALLOY FRAME won't bend, twist or break under load. 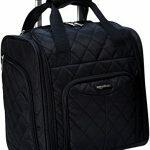 Tightly secured within "winged" handle for additional stability. 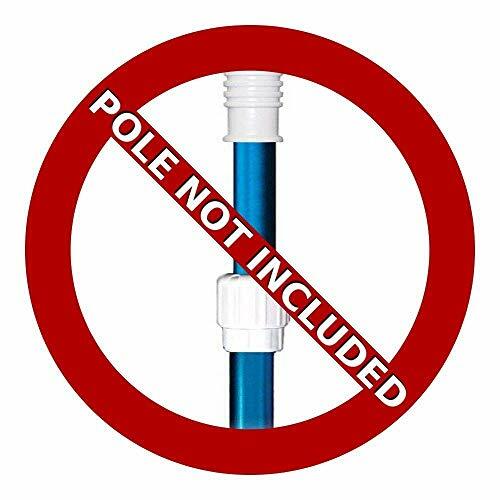 Our swimming pool leaf catcher handle easily connects to a standard size telescoping pool pole with built-in quick connect clip. Keep your swimming pool cleaner with ProTuff swimming pool cleaning tools. 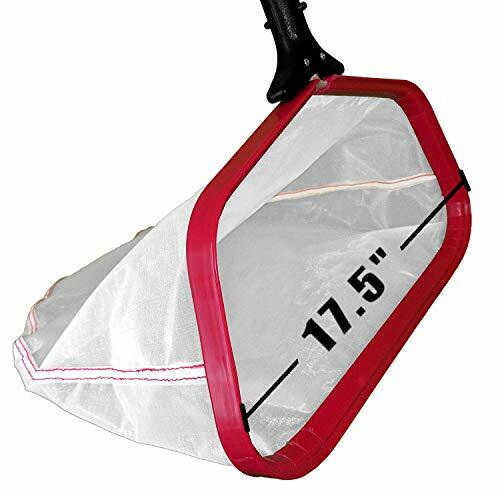 DEEP, DURABLE, ABRASION RESISTANT, DOUBLE-STITCHED NYLON POOL BAG is stronger and more abrasion resistant than double layer polypropylene silt netting offered by other companies. Tapered for easy maneuverability. 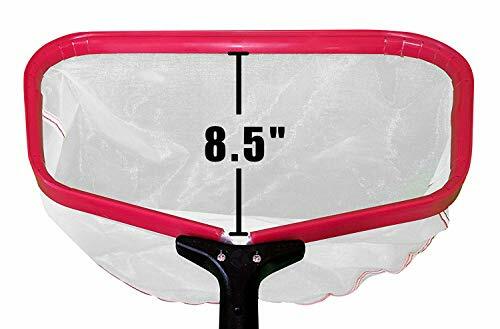 This leaf skimmer net resists mold and mildew well, maintains it's integrity and handles big swimming pool cleaning with ease. 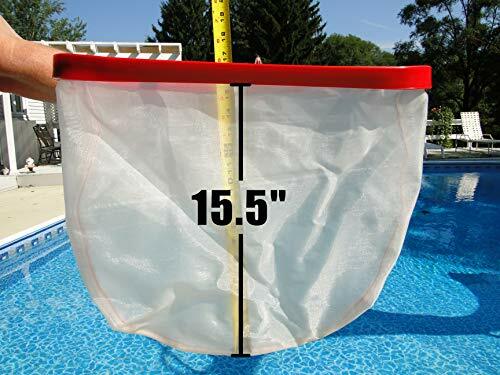 Fine mesh size will filter out silt, sand and very small particles as well as any larger debris. 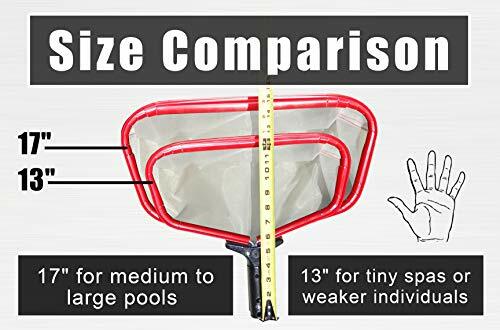 LONG LASTING, HEAVY DUTY, SUPERIOR QUALITY, PLASTIC RIM is safe for all types of pools and will guard against marring or scratching of premium pool surfaces. 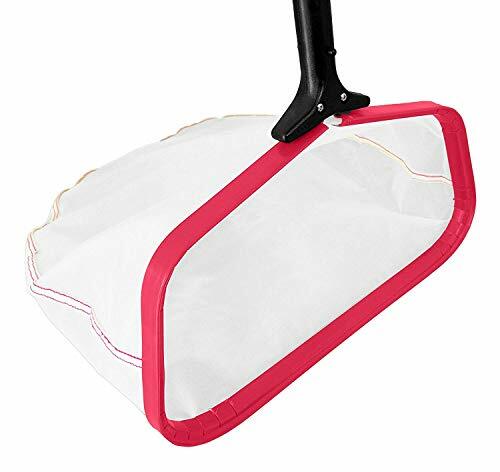 "Easy Glide" Scoop front for quick & easy leaf pickup from pool bottom. Straight sides with slight angle for easy cleaning of pool sides, whether round or rectangle shaped pools. Swimming pool maintenance for 24, 27, 30 ft or any other size pool has never been easier. 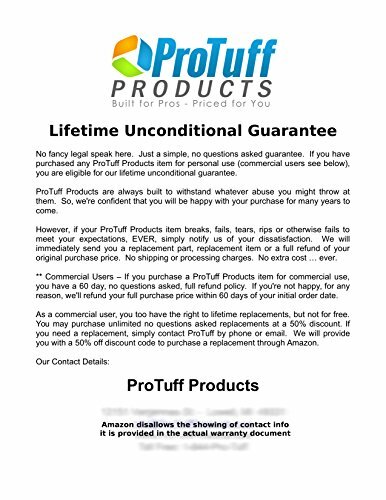 SEE THE PRODUCT DESCRIPTION AREA BELOW for important info to help you decide if ProTuff pool cleaning tools and equipment are right for you. 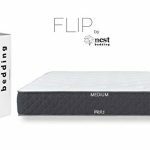 Also, see our Verified Purchase reviews to see what ACTUAL customers are saying. Always look for "Verified Purchase" on an Amazon review to verify its authenticity. Reviews CAN be faked.